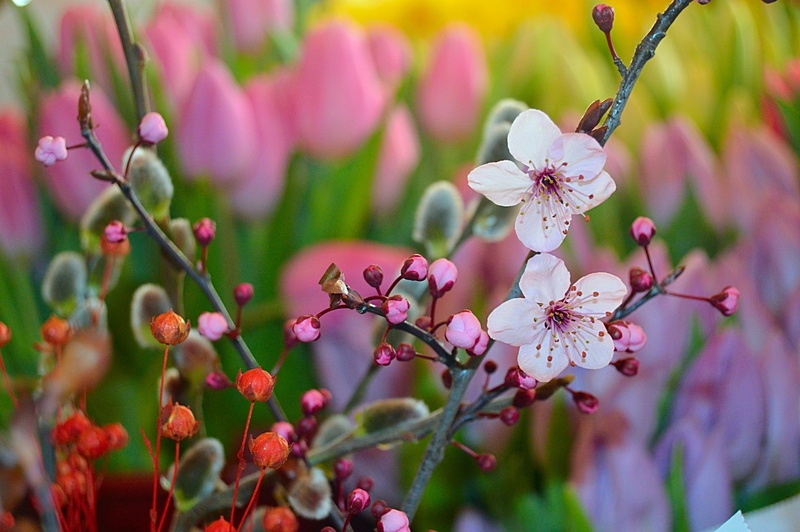 Spring is just around the corner and March 3rd is Hinamatsuri – Girl’s day in which people celebrate and pray for young girl’s growth and happiness in Japan. 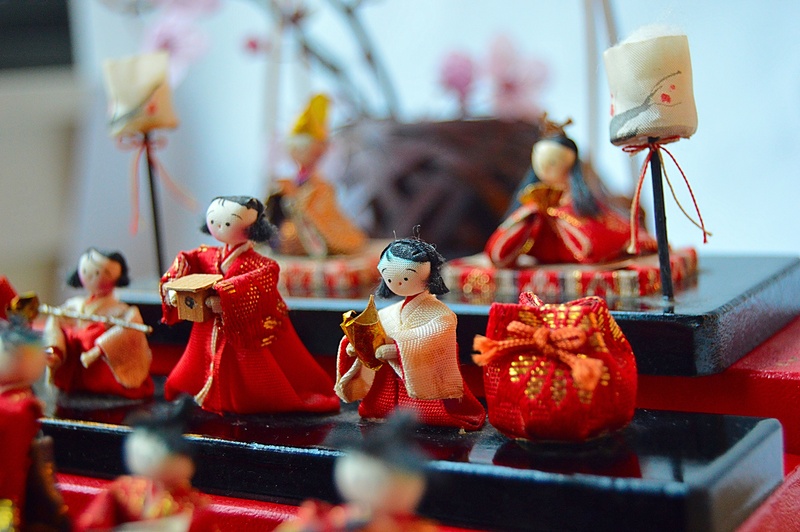 When a baby girl is born, her family buys Hina dolls which are displayed with five or seven tiers where on the top step are the Emperor and Empress. The dolls in the pictures were given to me by my aunt. When I was a child, most of my friends had a big set of dolls which even reached six feet tall, and I remember I wanted a bigger one like my friend’s. Mine is a miniature set of dolls that can be placed on a table. 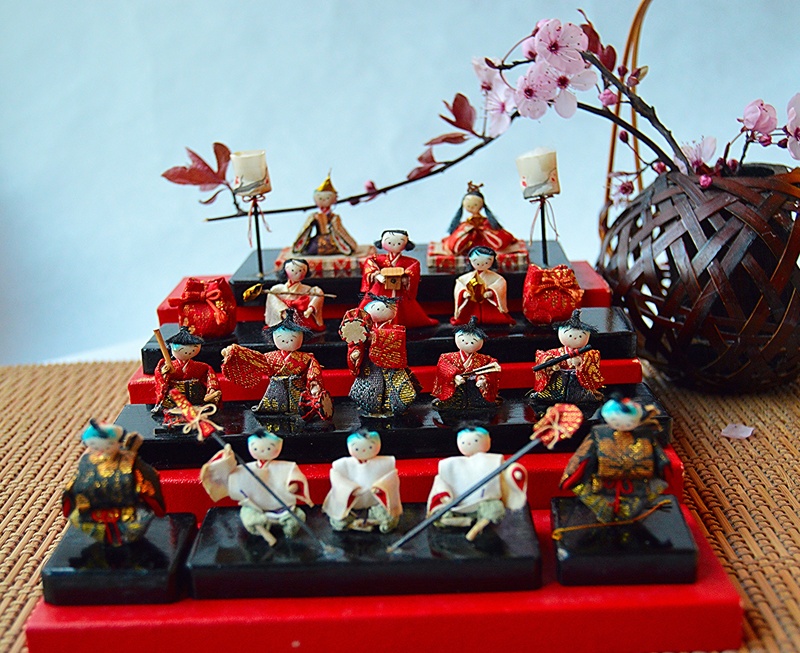 However, as I got older, I thought the intricate details of the dolls and accessories like the pink cheeks, lanterns, and musical instruments were unique and special and I came to like my Hina dolls very much. 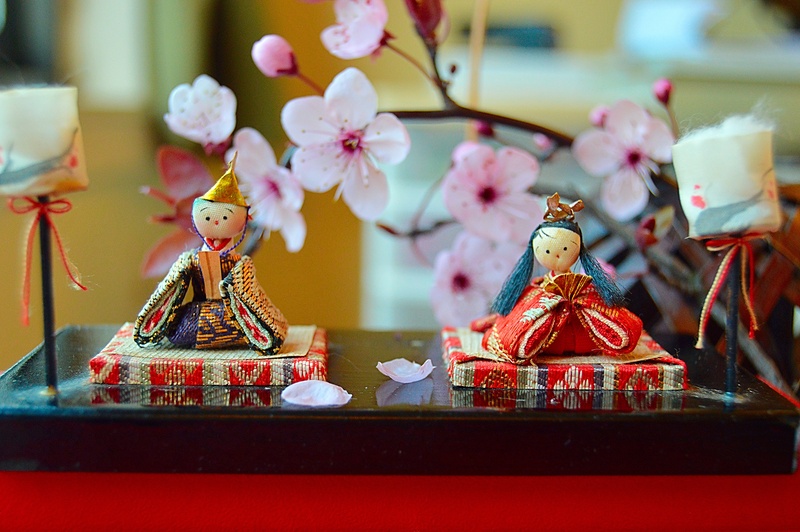 When my daughter was born, I passed my Hina Dolls on to her. As March 3rd approaches, I display these dolls with spring flowers to symbolize good health and happiness for my daughter. 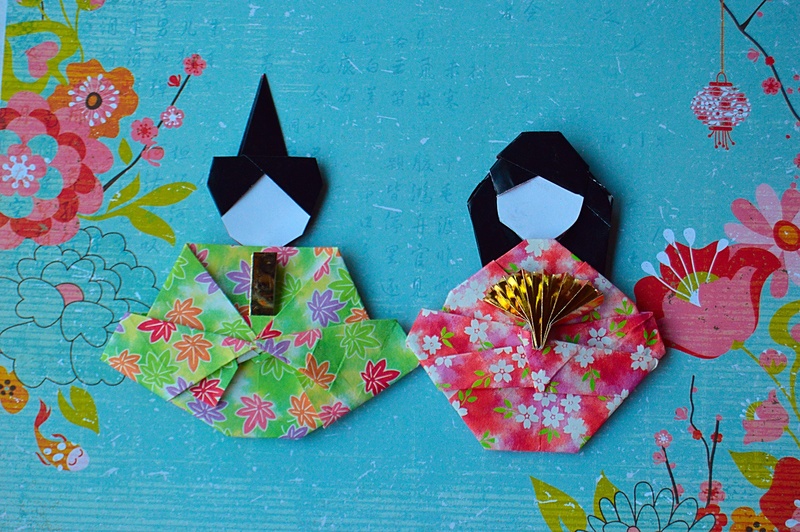 This year, I also made Hina dolls with origami paper, with design instructions that I found on the internet. The dolls are very beautiful and simplistic, but were actually very difficult to fold. I hope that girls around the world enjoy good health and happiness. Sachie, your Hina Dolls are so lovely and a treasure. どうもありがとう…. 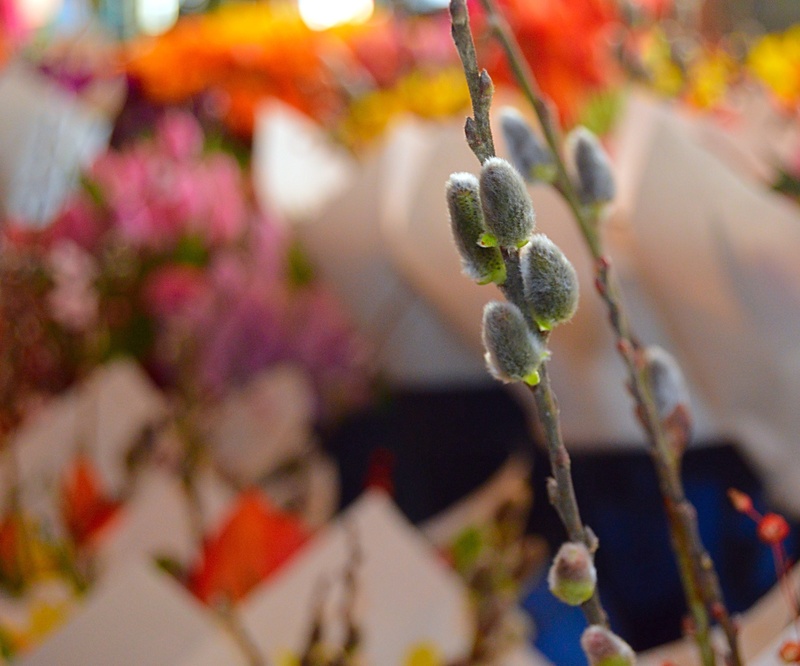 “Domo Arigato” for sharing such cherished tradition.